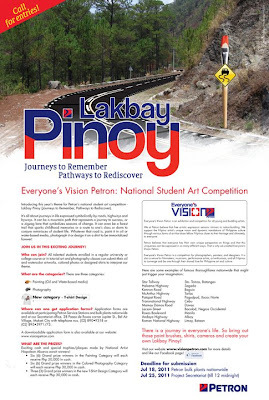 Lakbay Pinoy Art Competition ~ Philippine Freebies, Promos, Contests and MORE! 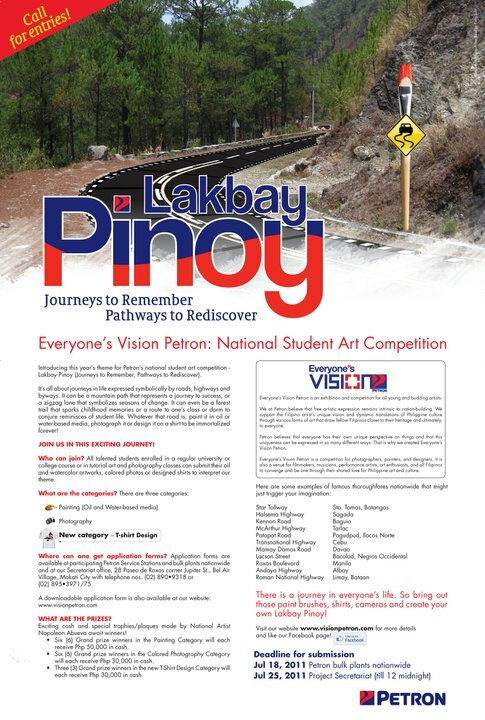 Open to all college students, 15-28 years old, enrolled in any schools/universities or in tutorial art and photography. Participants can only submit 1 entry per watercolor and oil/acrylic categories and can pass unlimited number of entries for the photography and t-shirt design category.